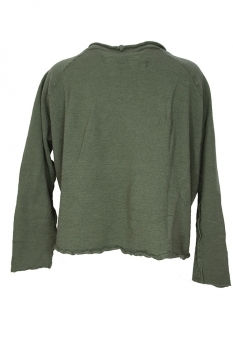 Rundholz Black Label knitted pullover top in vert colour. Round neck with rolled trim. Long sleeves with rolled trim cuffs. 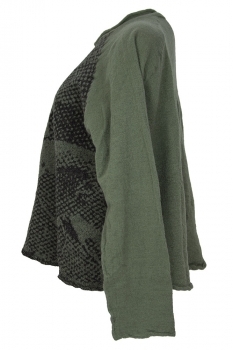 Pixelated image on front panel in black. Seam details throughout. Rolled hem. Plain rear.